gives the stationary wavelet transform (SWT) of an array of data. 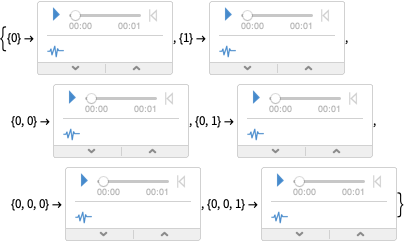 gives the stationary wavelet transform using the wavelet wave. gives the stationary wavelet transform using r levels of refinement. StationaryWaveletTransform is similar to DiscreteWaveletTransform except that no subsampling occurs at any refinement level and the resulting coefficient arrays all have the same dimensions as the original data. StationaryWaveletTransform gives a DiscreteWaveletData object. The dimensions of and are the same as input data dimensions. StationaryWaveletTransform uses periodic padding of data.